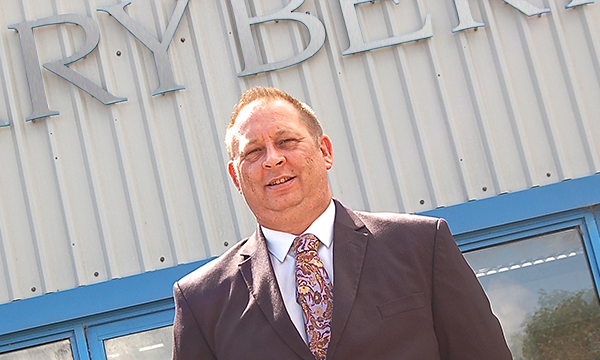 Marybern Steel LLP in Deeside has recently appointed Sean Thomson as sales manager. Sean has a very impressive portfolio of experience within the industry, working recently for MASCO UK window group and has previously worked at Polyframe Trade, BCE Extrusions (part of Heywood Williams), Deceuninck and Carl F Group Co.
Marybern are delighted to have Sean as part of their team as not only does he have an extensive knowledge of the industry, but also shares their commitment to the expansion and growth strategy of the company. Marybern produces profiles for a wide range of applications but specialises in the production of sections for PVCu reinforcement. The business has a proven track record in working with customers to develop customer specific sections, starting at the design stage and leading through to the successful launch of the product.